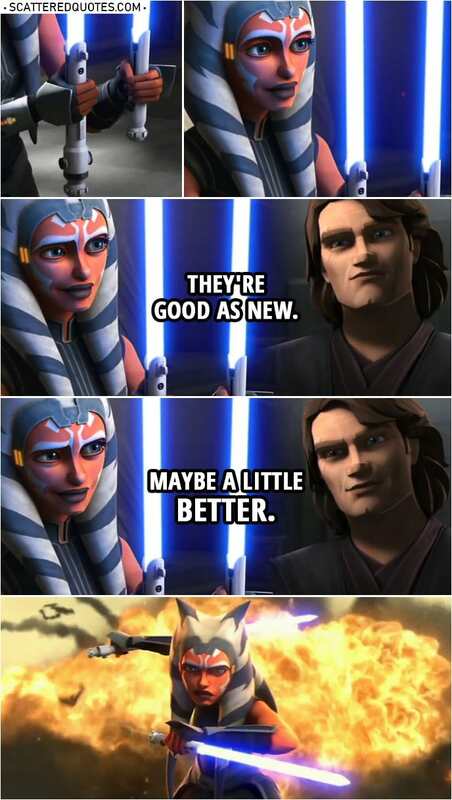 Anakin Skywalker (to Ahsoka): They’re good as new. Maybe a little better. 15.4.2019 They’re good as new. Maybe a little better.